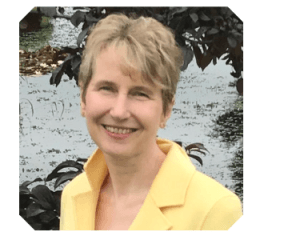 International Women’s Day 2019: Alison Rowe – "But I don't want to work in the City!" UN Women is the world leading organisation working towards global gender equality and female empowerment. 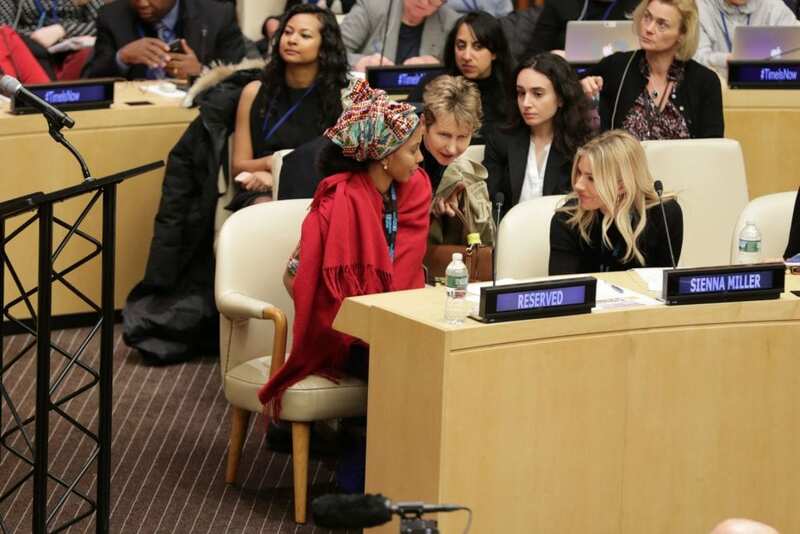 UN Women was established in 2010 by the UN to develop a range of high impact campaigns and standards to ensure that every woman and girl can exercise her full human rights. 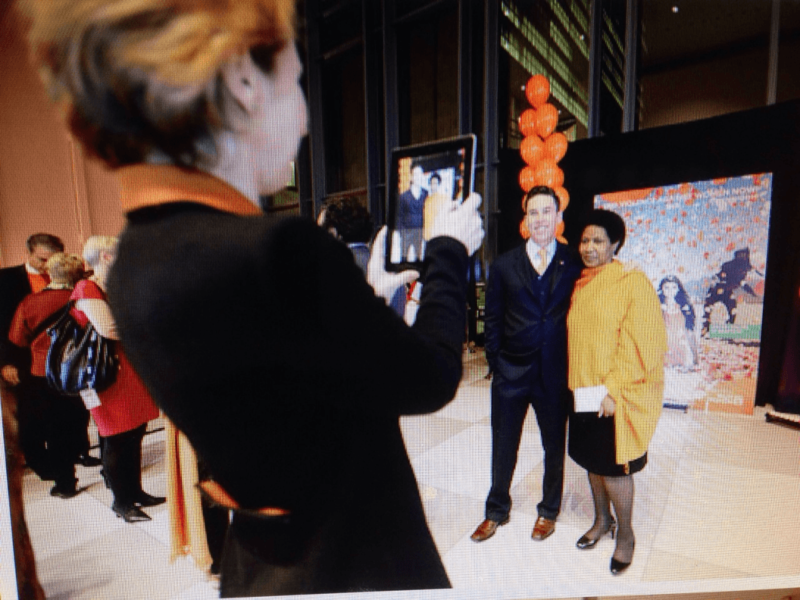 Ever wondered who those blurred-out people at the back were? One of them’s a speechwriter! Tell us a little about your career path..
Well, there was never a plan. In fact, any time I tried to project the consequences and next steps of any move, I was invariably completely wrong, and the things that I was impatient of ended up being assets. So, for example, although I didn’t enjoy being a management trainee at NatWest International (yes, the city) right after graduating, having even limited financial experience gave me confidence to work with leading institutions like Citibank, Diners Club or the Stock Exchange of Thailand when, three years later I was in a PR company in Bangkok, which was looking to grow its financial services division. The speeches I had to write for the Regional Director of the World Health Organization in Manila, led to working for the Director General of that organization in Geneva, and on to my current job writing for the Executive Director of UN Women in New York. I would never have said that writing is what I do best, but it’s been a very useful skill that other people value, and in that way has been a passport. In the early years of my career, as I moved from country to country in Asia with my partner, it was extremely useful to be able to offer editing as a skill, and in several instances that was the doorway into companies in which I then grew to take on other roles. In Bangkok, my first job in the PR company I joined was as their only native English-speaking writer and editor, but I quickly moved into client service, and from there to build the financial services sector. My first job when I joined the UN was also as an editor, in the Regional Office for the Western Pacific in Manila, Philippines, and that soon developed into also writing speeches and managing the official documentation for the governing body meetings. As a result of having experience in those meetings, I discovered that I could work on the World Health Assemblies, which gave me the depth of knowledge of policy and technical information on public health that I used when I became speechwriter for the Director General. And that information in turn transformed into my lens on gender inequality in UN Women. I try to live by the principle of being brave about opportunities when they come; as women we too often think we may not be able to do things that have unfamiliar labels. But we can. 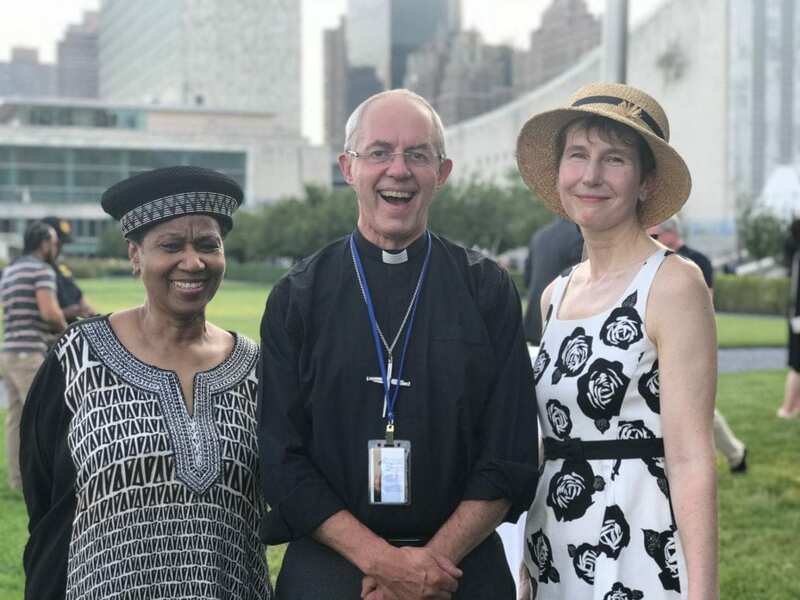 …sometimes Alison gets to meet them as well (this was a garden party in the UN grounds)! Why did you first choose to work for UN Women? Although I said I didn’t have a plan, I did want to live and work in different parts of the world. New York has long been on my list of places to aim for. 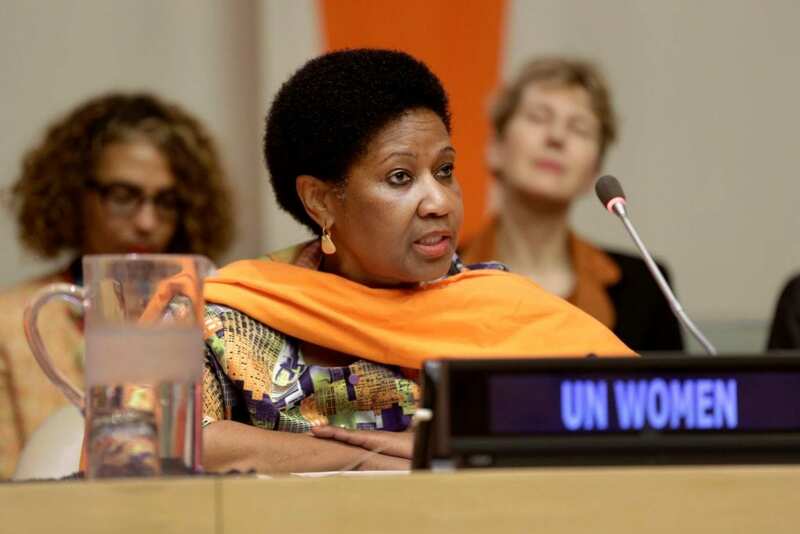 The opening for the Speechwriter and Advisor to the new head of UN Women, Phumzile Mlambo-Ngcuka, came just as my children had all left school and I was able to make choices in a different way. Initially I didn’t consider it, as I had no specific background in issues of gender equality. Then I realized that in fact what I knew about the health of women and girls was in fact another way of understanding the limitations and opportunities of their lives. I heard that the new head wasn’t a conventional UN appointment, but had been an activist in South Africa, working with Nelson Mandela on ending Apartheid. And when I looked at the profile of the organization, I saw that it was very newly created- just three years old- which meant that there was an amazing opportunity to contribute to forming its identity. One of the first big events after I joined was the launch of the HeForShe movement, when Emma Watson crashed our website. My work with that team is still some of the most creative and fun in the portfolio, but when I joined, I had no idea it existed. The move really felt like a leap of faith, especially leaving WHO, where I was well known, where I had built a wide network to get things done, and where I had a long-term contract. Nearly five years in, I have no regrets. What do you enjoy most about working for UN Women? It really, really matters who supervises you in a job. I have a boss who has fostered an entrepreneurial spirit in her team and who enables creativity. I am able to propose ideas, and execute them (as long as they cost more or less nothing). This means I’ve been able to initiate and lead projects outside my job description, from premiering a film at the UN, to working with new goodwill ambassadors, getting involved in commissioning experimental animation to tell gender equality stories, or the movement to un-stereotype advertising. What 3 things will you be doing for IWD 2019? The main work for the Day happens in advance, so as to set up the messages and activities, both in New York and in every country office. The Day itself is more about monitoring that everything is going according to plan. I’ll start the morning by checking that the main statement by the Executive Director for the Day is up and being circulated; it’s one of the big position pieces of the year and should be being amplified. Then I’ll head into work and go to the UN main building on the river where the UN celebration will be held. We always host several celebrities to discuss the theme of the year. Last year we had Reese Witherspoon and Danai Gurira on stage talking about the #metoo movement, TimesUp and the work on ending violence against women and girls. 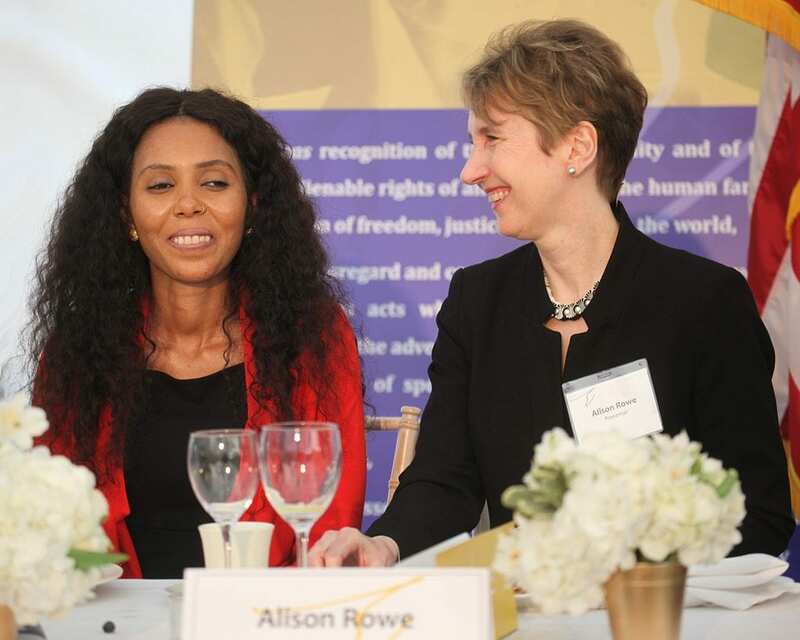 I expect that the third thing will most likely be connected to the Goodwill Ambassador for Africa, who I manage – Jaha Dukureh, and the work we’re doing together on mobilizing for an end to FGM and child marriage across Africa. In 2018 Jaha Dukureh, the Regional Goodwill Ambassador who Alison manages, was awarded one of the Eleanor Roosevelt Medals of Honour. Here, Alison presented the award!